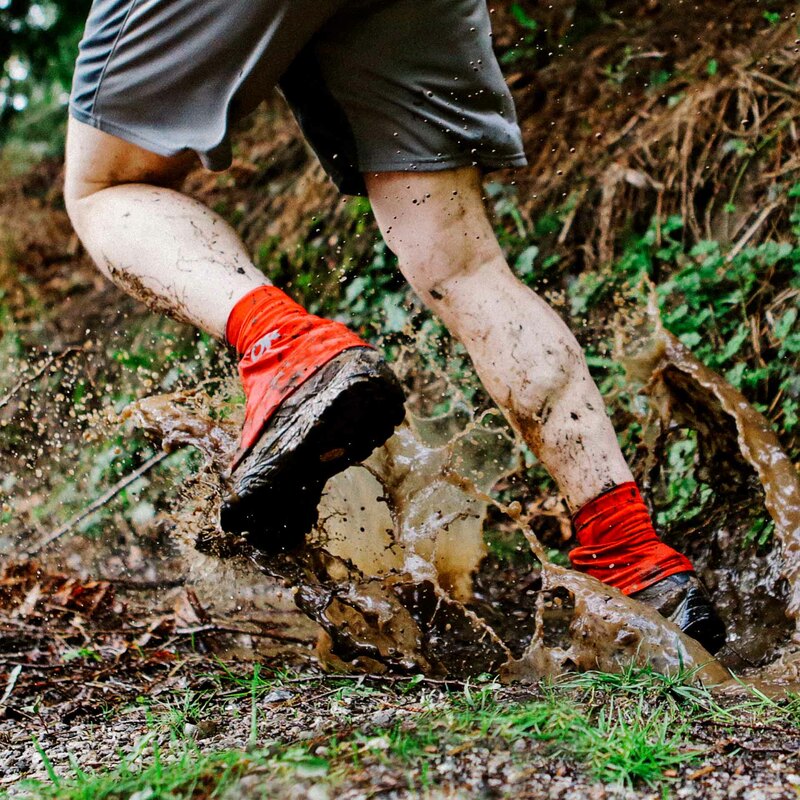 Lightweight, breathable, and ergonomically designed to streamline your trail run, the Surge Running Gaiters are the first choice an athlete will reach for when seeking on-the-run protection from rocks, scree, and trail debris. 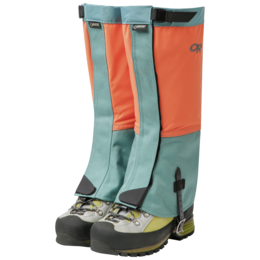 A first-of-its-kind bungee tensioning system utilizes front hooks and elastic side panels to engage tension and keep each gaiter in place. UPF 50+ fabric guards against harsh sun rays while reflective logos keeps visibility high when day transitions into night. Extensively designed and ardently tested, the Surge Running Gaiters secure with any shoe. 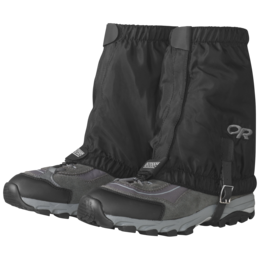 After just a small bit of dirt gets on the rubber, it no longer holds the gaiters in place. I was constantly sliding them back down while hiking. 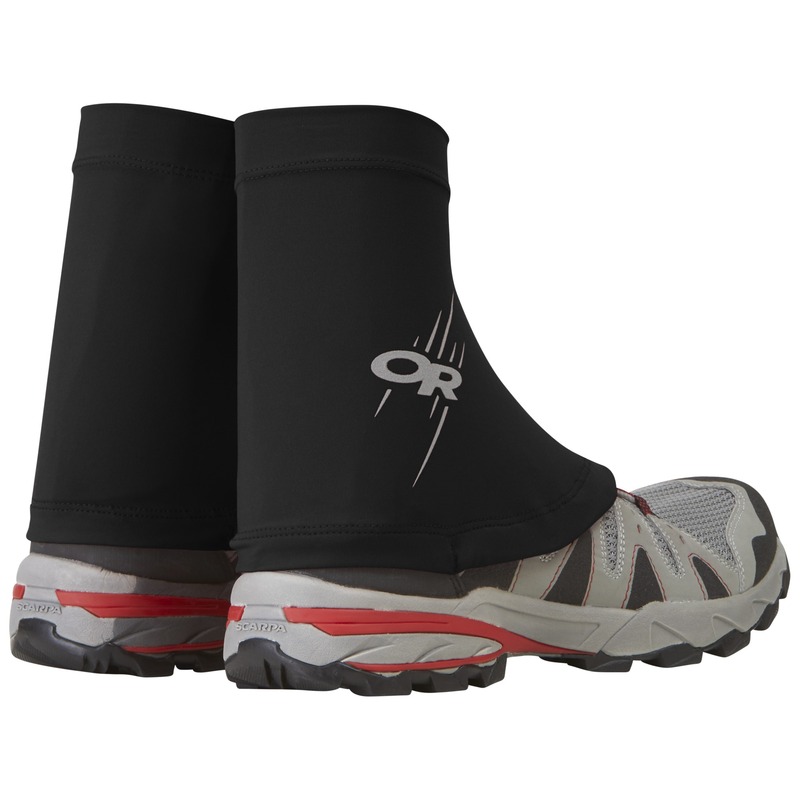 These gaiters work great for running. 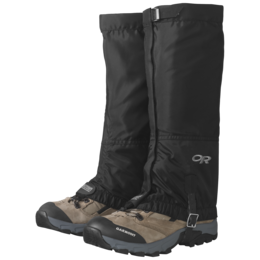 I've used them on two 100 miles and they were awesome. The rubber strip on the back works surprisingly well. Looks good would work but rides up on shoes. I wear high tops and had issues. Needs better fixing to show on back. Will modify mine with Velcro like another pair I own. 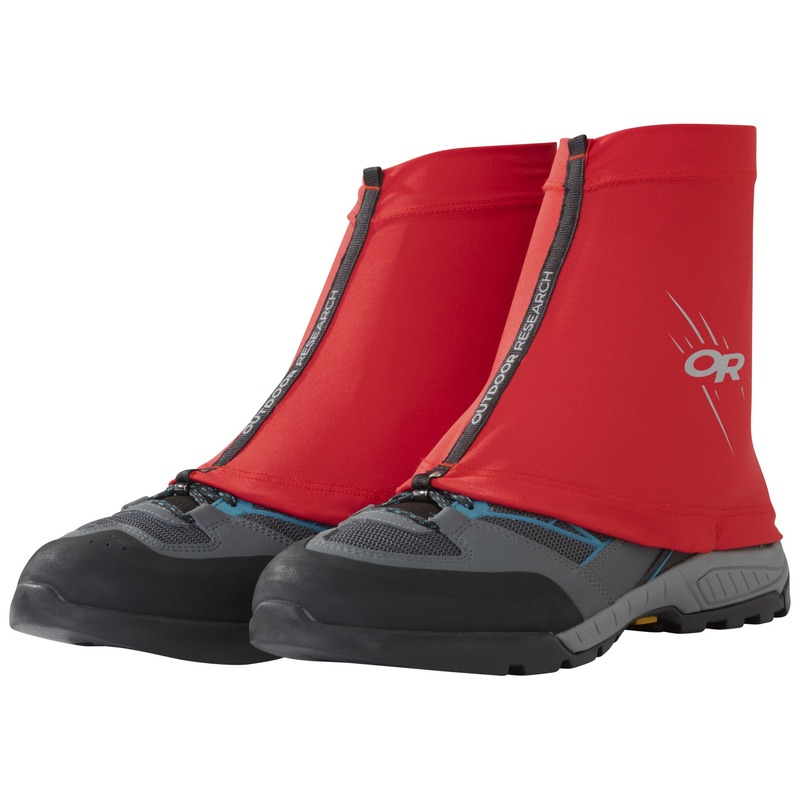 Great products defininitly not water resistant but holds out snow in cold alpine conditions at minimal weight. 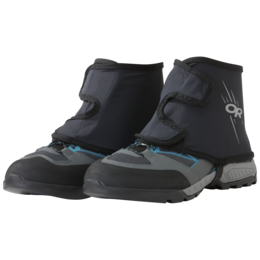 Excellent at keeping out dirt, but strap frays too quickly. 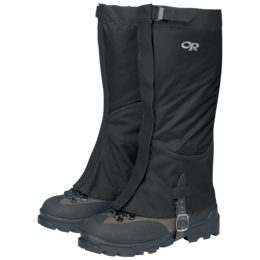 These fit very well and do an excellent job of keeping out dirt. 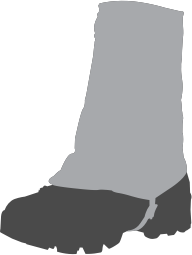 However, the under-shoe strap wears out quickly. I've used them on 4 occasions and already I can see that both straps will separate soon. This product needs more work. 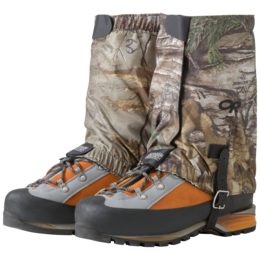 These gaiters are worthless. They do not work at all. I very disappointing product. It does not work. It should be discontinued. 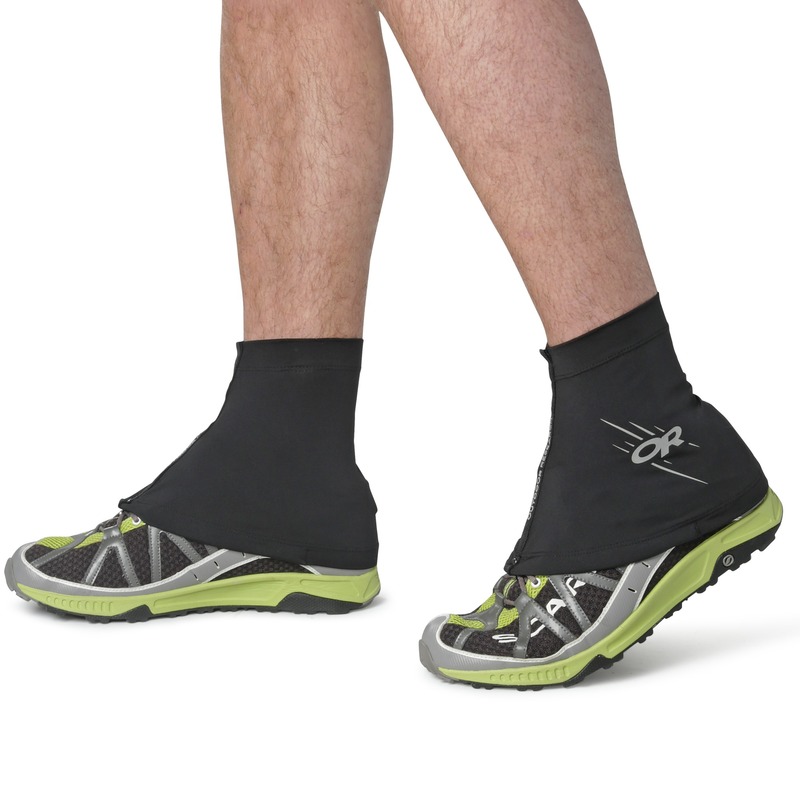 While these are marketed as trail running gaiters, I used them while hiking through the jungles of SE Asia as a preventative measure against leeches. The worked remarkably well for this purpose provided your pants didn't get snagged and become un-tucked from the gator. I would usually catch the leeches about half way up my leg since they couldn't find an opening at the ankle and they didn't seem to be able to bite through the Equinox Pants. 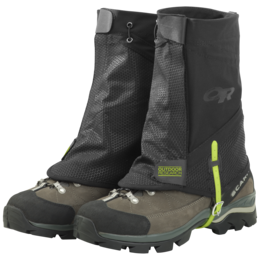 Also they are handy for keeping rocks out of your boots while moving on skree slopes. I run ultra marathons and cannot have equipment failure. 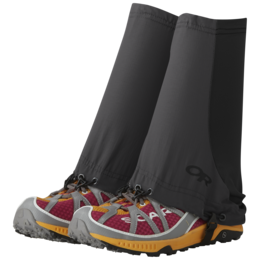 I've been testing the gaiters with my shoes and it did not work on my Altra and Saucony. 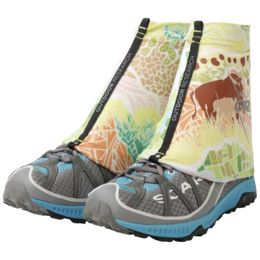 I bought a new shoe Hokas and tried it again. This time they worked very well. I guess it just depends on the brand/style of cup area. I couldnt give it a higher rating because it is not universal and have to find the right design for it to work properly.